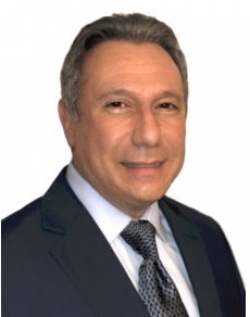 Enrico De Carolis, vice president of global technology, Emerson, discusses the company’s unique approach to machine safety, which enables reduced complexity in the design of redundant pneumatic safety circuits and improved tire manufacturing machine productivity. Tell us about the zoned safety concept you have developed at Emerson. The 2006/42/EC Machinery Directive concerns the safety of machinery and parts of a machine. The aim of it is to safeguard machines by defining a common way to measure and ensure a certain level of safety in machinery sold and operated in the EU, measured by Category and Performance Levels (e.g. CAT 3, PLd). We have developed the Zone Safety manifold/island to enable companies to achieve compliance more efficiently and at a lower cost. What are the key features of the concept? Safety within the workplace is paramount – in the context of employee protection – but it is also becoming an enabler to increase production output by removing dangerous machine functions that could harm people or the environment. There are various methods to achieve such results, but many add exorbitant costs to the machine functionality for both products and energy usage. Ensuring that a pneumatic safety solution is flexible, simple and integrated enables machine builders to more easily apply the safety functionality without increasing costs and complexity. What are the benefits of the Zone Safety manifold/island? Adoption of the Zone Safety manifold/island enables machine manufacturers to control both safety and standard machine functions from one area. This concept enables a safety solution for only the parts of the machine that need to be safe and does not incumber the standard machine functions, which could create additional costs or degrade performance, as can happen when safety functions are integrated where they are not really needed. What is the next step for the work? The Zone Safety manifold/island technology and its concept continue to evolve. As we see it, the key to success is simplification of application. Take the mystery out of safety and make it more user friendly so that machine builders don’t feel they are forced to use it, but rather they see it is a tool to make their machines safer and more viable than the competition. 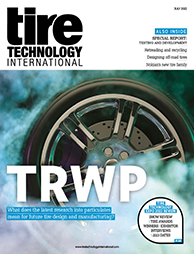 Enrico De Carolis will give a presentation titled Tire manufacturing – improving safety levels without compromising productivity at the Tire Technology Expo Conference. Click here to book your delegate pass.